To The Remnant: History, Hearsay and Heresy Part 1: Is your Eternal Life at Risk? "As I say, it never ceases to amaze me how gullible some of our Church members are in broadcasting these sensational stories..."
We Latter-day Saints are a gullible lot. Whether it’s the latest “faith-promoting rumor,” the carefully scripted lives of our LDS celebrity leaders, or whatever floats around the internet, if it sounds good, most of us Latter-day Saints accept it without question, often with tears of joy, and for bonus points, over the pulpit. There are entire websites devoted to debunking these “Mormon Myths.” The fact that such websites are necessary doesn’t speak highly of our critical thinking skills or our discernment. Perhaps this tendency to “believe all things” springs from the founding story of our faith. A fourteen-year-old boy, confused about religion, retired to the woods to pray, and there had a personal encounter wherein he met God and Jesus. What’s more, this wasn’t some carefully trained and educated prodigy child. This was just farm boy in the right place at the right time, seemingly average in every way. Sounds wonderful, doesn’t it? Faith promoting and inspiring to be sure! And I happen to believe it’s true. But the Miracle of Mormonism has been stretched and expanded mightily since that day in the woods, primarily in response to our unsatisfied thirst for more miraculous stories. It seems the really inspiring stuff ended with Joseph Smith--but that doesn't stop us from making up more. And it ended with the assertion that other souls would worship today’s youth in heaven when it’s learned that these kids were raised at the time of Gordon B. Hinckley. I remember it being passed around at church and shared with joy and tears. Trouble is, it was complete crap. Elder Packer finally got so sick of this bunk being pinned on him that he issued an official statement denying ever having said or believed such a thing. Several weeks after his statement, I heard the same “youth were generals” piece over the pulpit in sacrament meeting, read verbatim from the email printout. A 30-second internet search would have revealed it was falsehood taught “in the name of Jesus Christ” but nobody bothered to even check. We all nodded in wonder as the tears flowed down our cheeks. Hey, it’s an email—it’s got to be true! Nobody would lie or embellish something like that! And the “faith promotion” continues to grow. The growth and prosperity of the modern church are often lauded as proof positive of God’s approval, the trials and difficulties are touted and even imitated as faith-building rewards rather than cursings, and best of all, the tenets of the faith now include, indeed insist that the church itself and its leaders are miraculously, perfectly immune to any serious error, though they flatly contradict each other and even contradict scripture on very serious issues. How one simultaneously claims to believe there is such thing as absolute truth, while also believing past prophets taught it, and present prophets who flatly contradict past prophets also teach the honest-to-goodness, saving truth of the Gospel is an open question. So suspend your logic and don’t question. Otherwise you might be called apostate. With apostates in the news so much lately, it’s time to take a look at the de-facto Mormon definition of apostasy. The church gives a specific definition of apostasy in the handbook, but completely ignores that definition in excommunicating people. The real definition of apostasy—the one that gets you thrown out—is to believe the church or its leaders might possibly make a mistake like the rest of us mortals. Various church leaders at every level have made the assertion over the years: “The prophet can never lead us astray” is the most common variant, with the corollary that requires God to actually kill the prophet before allowing him to make an error. Other infallibles include the Quorum of the Twelve, general authorities, local leaders, and even the majority membership of the church. In short, we’re going to heaven, no matter what. The church is a lazy river flowing inevitably to the celestial kingdom, and we just have to grab a raft and jump in to finally be saved in the end. Odds are, you’ll be exalted. Rather than considering all the people who've asserted this unscriptural dogma over the years (which is quite self-serving when coming from the guy who says HE can never lead you astray) I think it’s more important to go back to the beginning and ask the question: Did Joseph Smith, the one who met God, teach this doctrine? As dispensation head, his teachings kind of trump, or SHOULD trump those of modern interlopers who have changed a lot of what Joseph taught, and also claimed he taught a lot of stuff that he didn’t. In a friendly Mormon discussion, in a contest between Joseph Smith and, say, Heber J. Grant, Joseph generally holds the better hand. If you want to win a doctrinal argument, you trot out Joseph Smith. With this in mind, let’s take a look at some of the statements attributed to Joseph Smith wherein he said there’s no way we can screw this up. But first, we need to get some definitions in mind. When we look at sources of Joseph Smith’s teachings there are several ways to go. Writings: This is the stuff Joseph Smith wrote, edited or dictated. Most of it was published in his lifetime, and under his direction. Therefore, we can pretty safely assume it’s authentically Joseph, particularly when it’s in his own handwriting. Contemporary Accounts: These are notes taken by people who listened as Joseph gave sermons. They were actually there, listening to what he said, and writing it down as he said it. They may have gotten some things a bit wrong, but in general, these are considered pretty strong historical sources. These are greatly strengthened in cases where there were two or more people taking notes at the same time and their accounts agree. Contemporary accounts are generally considered reliable historical records. 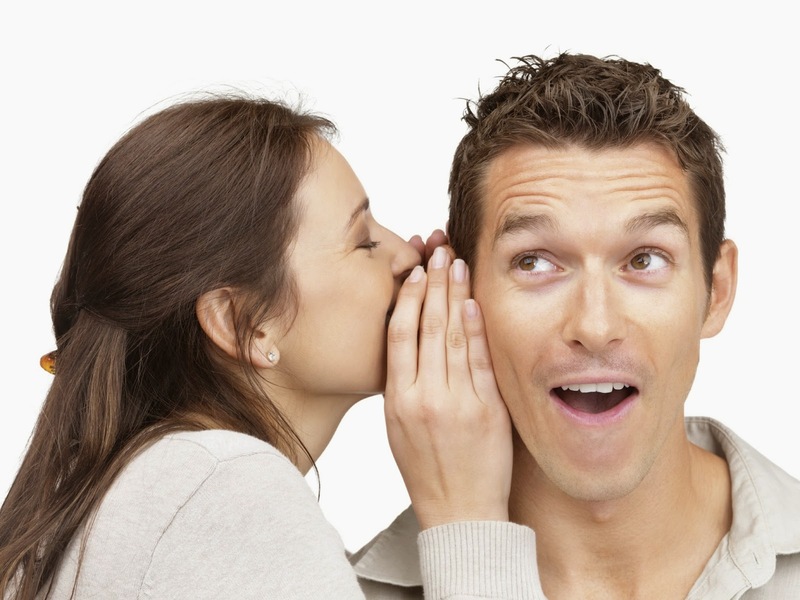 Hearsay: This is simply stating what you claim somebody else said. This sort of report is so unreliable it is generally not admissible as evidence in a court of law. The key to remember is this: Hearsay is not considered a reliable historical record. If I claim I heard Joseph Smith say something, my word is assumed invalid until substantiated by another witness or contemporary account. Many people claimed Joseph said many sorts of absurd things throughout his life. If we accepted them all, we would have a very interesting religion indeed! The above sourcing is complicated by embellishment—the tendency to make a story better so it will be more “faith promoting.” This is a common occurrence in our society, and was even more common and perfectly acceptable in the 19th century. History wasn't considered HISTORY for goodness sake; the job of history was to advance a certain viewpoint. If a story needed adjustment to fit the narrative, well, that was just fine. Even within the church, it was just expected that you would make the story as good as possible. OK, so the point is that not all sources are trustworthy, and we ought to be selective about how much we stake our eternal salvation on some bit of truth from Joseph Smith until we know if he actually said it. "The inhabitants of the moon are more of a uniform size than the inhabitants of the earth, being about 6 feet in height. They dress very much like the quaker style and are quite general in style or the one fashion of dress. They live to be very old; coming generally, near a thousand years." Ok, got that? There are people living on the moon, and Joseph can tell you all about them! This little gem sometimes gets trotted out by those who wish to prove Joseph Smith a fraud. Obviously, he was wrong about the moon being inhabited, so he can't be a prophet, right? Heck, even after the Apollo moon landings, some church members were still attempting to defend this silliness. Now, before we start stammering out excuses, let's check sources. It turns out this gem was written by brother Oliver B. Huntington, in his personal history in 1881 (see page 10). 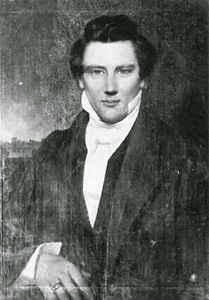 From there, it was repeated in The Young Woman's Journal in 1892, where brother Huntington offered some embellishments to the tale, stating that Joseph taught that information as early as 1837. Oliver B. Huntington was born October 14, 1823. Therefore, if he heard Joseph teach about people living on the moon in 1837, he would have been no more than 14 years old when he heard it. He puts the information in quotes, but does not give any indication where, when, or to whom Joseph said it, nor does he indicate how he remembers the information so precisely, or whether he recorded it at the time it was said. 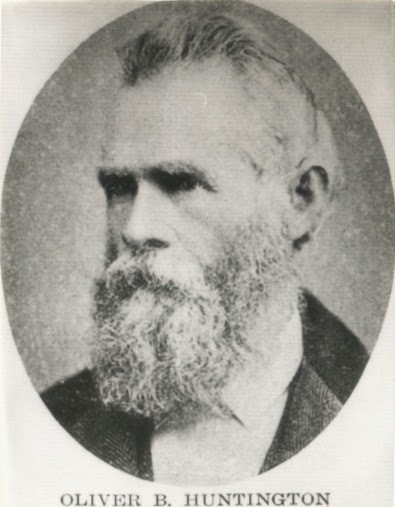 Brother Huntington's "History" consists of a lengthy series of faith-promoting, but largely undocumented stories he's heard from other people. It's the Mormon Myth website of 1881. When he writes the same information in The Young Woman's Journal 11 years later, he doesn't put it in quotes, but does embellish the story. He makes it clear he believes there are people on the moon and uses this quote to back up his opinion, while also asserting that recent scientific discoveries make the theory plausible. In other words, he had an agenda and he was using Joseph's name to give himself credibility. The Young Woman's Journal was an official church publication for young women that included housekeeping tips, love advice, fiction, poetry, job openings, fashion advice, social graces, interviews, and various gospel ideas. It was, essentially, the equivalent of any popular women's magazine in today's grocery store, designed for entertainment, not doctrine. There is no record of anybody else hearing the prophet teach this information, nor is there any contemporary witness to its being recorded. Therefore it is hearsay, and completely unreliable. Based on the above facts, it is HIGHLY UNLIKELY Joseph Smith ever said such a thing, and anyone who attempts to use such apocryphal information to impeach the prophet is a fool. Now that you know the facts, you get to choose. Would you stake your eternal salvation on the belief that there are people living on the moon who dress like Quakers? But let's look at it another way. What if there were a quote, every as bit as apocryphal, and just as dubious in its source, that happened to say something you agree with. Would you trust it then? This is where it gets interesting. And dangerous. Remember, only truth can save you. I just discovered this blog and am amazed at how well you've done in explaining faith vs. unbelief. I have wondered or pondered about the very scriptures you have quoted about faith producing miracles or signs and wondered why things seemed different today than in the past. You have done a masterful job at explaining just how deeply unbelief runs in my life. I have wondered about the healing power of the Savior and it's instantaneous effects vs modern medicine's procedures and treatments that require extensive time to help an individual heal (big difference between healing and helping heal). You can go through extensive tests and expensive procedures (MRIs, CT scans, etc) and still be left dealing with the pain and no real solutions by following our prescribed course of action in modern medicine. We are instructed to do all we can to seek help from modern medicine and then rely on priesthood blessings (you could reverse the steps here) for healing, but this is not how the Savior responded to those seeking help. I am aware of only one instance in which a poor woman had spent all her money and unknown amounts of time and effort seeking to be cured of her "issue of blood" before going to the Savior for His help. The difference? His way truly healed the individual and provided instantaneous results! Why should the steps or the outcome be any different today? Because of unbelief! It is interesting that we rely on knowledge (new procedures and better understanding of the body) at the expense of faith with absolutely disastrous results at times. I have also wondered about the "ministering of angels" and how you hardly hear of such things today, but the Book of Mormon is replete with stories and experiences of so many individuals and groups of people who either experienced angels, heard the actual voice of the Lord, or saw the Lord himself (often a combination of all of these occurrences), Why not today? Because of unbelief! You have given me much to think about and figure out and much work to do to push aside unbelief and develop proper living faith. 1) Where exactly did Joseph ever say he met God and Jesus? In no writings attributed to him is this at all clear; but a figment of imagination spoken and repeated into being as part of performing the word "Restoration." A good question to ask is "what are the effects of this unclarity; why speak of two un-named personages with a (not uncommon) kin relation?" 2) I doubt seriously that anyone's "eternal salvation" is staked on believing anything spoken or written by any authority figure, as we understand the term. What makes any of us think we have any "salvation" to trade anyway? Because of claims of restored religion and its saving ordinances? What is the origin of this thinking? It's probably important to know this "saving truth", but where do you actually address it? The title of your post of Sunday, June 29, 2014 pretends to importance, but the post itself succeeds only in raising more questions than it answers. 3) On two occasions, over ten years apart, Joseph read to church members from Ezekiel 14, the second time telling them that it applied to the present church, and that their dependency on him as president/prophet/revelator was the cause of their darkened minds. He also once proclaimed that some revelations are from god, some from man, and others from Satan. I suspect that Joseph was never as sure of his own words, stories and revelations as "authoritative doctrine" as others who now read them. It has been said that the things we write are a performance, an act of creation, and that no story teller is innocent of performing the subject of their story. So, another good question would be to ask "what do we see being performed here this day?" Perhaps JS did or didn't say anything about men living on the moon. BY most certainly did. inhabitants of that sphere you find that the most learned are as ignorant in regard to them as the most ignorant of their fellows. So it is with regard to the inhabitants of the sun. Do you think it is inhabited? I rather think it is. Do you think there is any life there? No question of it; it was not made in vain. It was made to give light to those who dwell upon it, and to other planets; and so will this earth when it is celestialized. Every planet in its first rude, organic state receives not the glory of God upon it, but is opaque; but when celestialized, every planet that God brings into existence is a body of light, but not till then." It seems to me that he is using the mystery as to whether there are inhabitants on the moon or sun as an example of how little even the learned know - in other words, we are all ignorant of many things. In that passage, he never did actually claim that there were people on the moon, and it his suggestion that there are people on the sun is clearly presented as an opinion (i.e., "I rather think it is [inhabited]") and not as revelation. He then offers some of his reasoning based on revelations about celestialized worlds. Nothing regarding extraterrestrial inhabitants is asserted as doctrine. Also, how does this jive with the multiple different accounts of the first vision? The account that is published and supported by the church is actually a second hand writing. The account written by Joseph Smith himself is very different from the one we memorized as missionaries. I'm not sure I'd be using SHIELDS as a valid source for much of anything. Mr. Stan Barker, the proprietor, seems to be more interested in fighting with the "anti-LDS" crowd, while making himself look like an expert, than doing anything of actual worth. Otherwise, having just discovered your blog, I must say that I am enjoying reading what you have to say. Thank you! The different accounts of the first vision are not due to contradictions, but rather the ABSENCE of certain details in one version, from another. Absence of a detail in one version, and the inclusion of that same detail in another version, does NOT constitute contradiction and is perfectly common, understandable, and JUSTIFIABLE. The explanation is simple, and is derived from honest, everyday, common, human behavior. Whenever we share an experience with someone we know -- especially if we regard it a SACRED experience, we are likely to leave out one or more details when speaking to an audience known to have certain qualms or prejudices. We are careful to avoid, if possible, presenting a scenario that is only bound to raise eyebrows, and give that PORTION of our experience that we deem might be more beneficial to our purpose, with the audience we are tending to. In Joseph's case, we may find that in one version of the first vision -- as recorded by its hearer -- Joseph was addressing an investigator whom Joseph sensed would find it impossible to consider, for the moment, more than the basics in detail. Just the idea that Jesus had appeared and given him the message that all churches were corrupted, may have been all that Joseph sensed the hearer of the story could bear, for the time being. He would save the part about the Father being a separate Being, for later -- a point that would have produced a real shock to those who are strongly and emotionally bound to the traditional, or Catholic view, of the Godhead being all the same Personage.